Hurriyet reports that the AKP was reduced to the minimum seats possible to keep the majority. President Recep Tayyip Erdogan was, instead, seeking a supermajority to do away with the parliamentary system and establish a U.S.-style presidential system. To govern, it will have to form a coalition with a minority party, which may prove impossible and result in early elections. The AKP kept fewer than 276 seats in the legislature, or 40%. The Republican People’s Party (CHP), described as a social-democratic party, received 25% of the vote and is the second-largest party in the legislature. 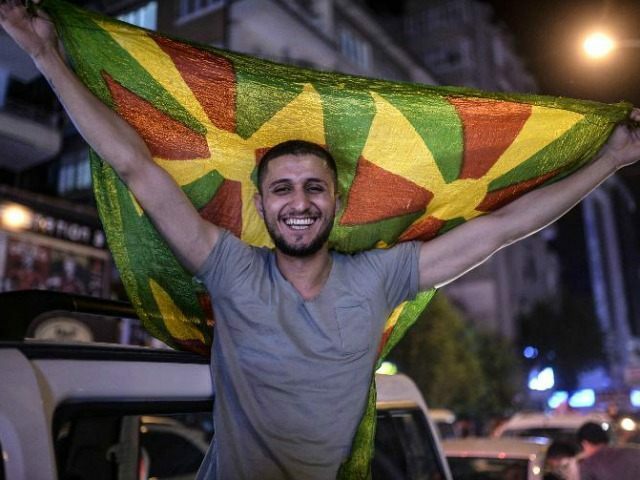 The leftist Peoples’ Democratic Party (HDP), which has strong ties to the Kurdistan Workers’ Party (PKK), received 12% of the vote in a record successful election. Parties need to surpass 10% of the vote to be represented in the legislature; this is the first time the HDP manages to enter power. HDP votes, according to opinion, significantly diminished the power of the AFP, to the tune of 78 votes, most previously held by the AKP. The Washington Post notes that the HDP managed to expand its appeal by presenting itself not as a Kurdish party, but as “a leftist movement for all Turks and boasted a diverse slate of parliamentary candidates, including representatives of virtually all of Turkey’s major ethnic groups, a large number of women and the nation’s first openly gay candidate.” The appeal of the HDP is seen widely as a rejection of the AKP’s push to expand Erdogan’s power, as well as Erdogan’s push to make Turkey’s government less secular and more Islamist. It comes at the price of supporting a group tied to the Marxist PKK, whose armed struggle against Turkey has resulted in more than 5,000 civilian deaths since 1984, according to independent monitors. Many HDP members are related to jailed PKK members, the Post notes. In addition to Kurds, four Christians will enter the legislature–a significant increase for the tiny minority. The minute Christian presence is representative of the full political spectrum, including two members of the HDP, one CHP member, and a Christian member of the AKP. Hurriyet notes that the Christians will be joined by two Yazidi representatives. Every party except the AKP increased the number of women in their ranks in the legislature, as well–the total rising from 79 to 97. The AKP’s diminished presence in the legislature occurred despite widespread reports of attempted election fraud, according to the newspaper Zaman. Incidents of alleged fraud included a policeman caught attempting to vote for a third time and a number of individuals seen attempting to stuff multiple ballots per person into official election boxes for the AKP. Zaman claims social media users caught “over 1,000 cases” of attempted fraud. The AKP must now choose between attempting to create a supermajority by establishing a coalition with a minority party or triggering an early election. Many consider the MHP, a nationalist party, the likeliest candidate to work with the AKP, though that party’s leader has since dismissed rumors that it would ally with Erdogan. “It would be wrong for me to make an assessment about a coalition, our party will assess that in the coming period. I think the AK Party will be making its own new evaluations after this outcome,” said MHP minority leader Oktay Vural. The AKP has nonetheless confirmed to the press that it would attempt to form a coalition government before moving for a new election.